Instrument Amplifiers: all types of instruments and power ranges are available. single ended amplifiers. Class A. 1-15 Watts output power. 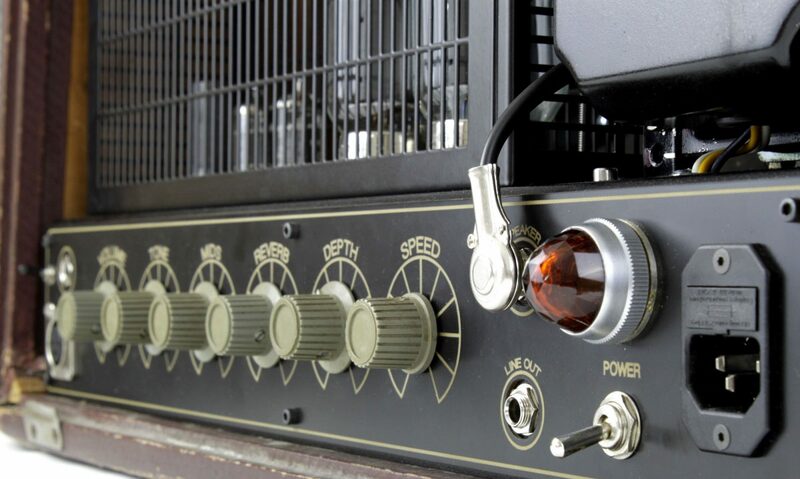 Pricing begins at €500 for a 1-5 Watt, hand-wired head with volume and tone controls. push-pull amplifiers. Class A, AB or C. 1-200 Watts output power. 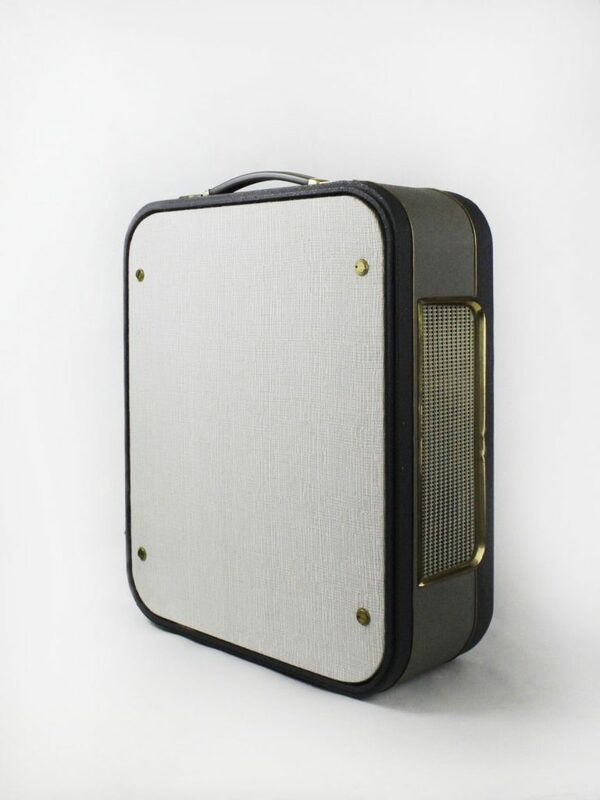 Pricing begins at €800 for a 1-15 Watt, hand-wired head with volume and tone controls. options. Options include effects such as reverb (add €150), tremolo bias or optical (add €75-125 depending on type and complexity), vibrato (add €100-200 depending on use of tube or transistors for the elements). A vintage case is usually offered inclusive of final price whereas a new case will incur an additional charge. The type of speaker chosen will also determine the final price with Alnicos generally being more pricey. Spring Reverbs: two types of spring reverb are available– modern and vintage. The vintage units use a transformer output connected to the driver and generally have more circuit complexity. The modern units are cleaner and more natural sounding while also being less expensive to produce due to less complexity and iron. mono units. A mono spring reverb can be built for instrument, studio use or both. The instrument version will tend to have a mix function to add the original signal, while in the studio version this feature is unnecessary as it will be in the effects signal bus. Pricing begins at €500 for a mono tube spring reverb. stereo units. Stereo spring reverbs are exactly similar to their mono counterparts; however the price is not necessarily doubled as both sides share the same power supply. options. Options include transformer balanced in- and outputs (add €200 for mono and €400 for stereo), VU meter (add €75), wet/dry signal paths for instrument use (add €100), the 2/3/5 option of selectable spring types (add €75), a vintage case is nearly always offered inclusive of the final price but a new case will incur an additional charge. Microphone Preamplifiers: from single channel preamplifiers to small mixers. mono units. A single channel tube microphone preamplifier can vary in complexity and sound greatly. Pricing begins at €500 for a mono preamplifier with transformer input and low impedance output. Level, Phase, Pad and Phantom Power are included as needed. A vintage case is usually offered as part of the final price. multiple units. Multiple unit preamplifiers are possible up to a small mixer of around 8 channels. Pricing begins at €1000 for a stereo preamplifier with transformer input and low impedance output. Level, Phase, Pad and Phantom Power are included as needed. A vintage case is usually offered as part of the final price. options. Options include output transformers and type and quality of transformers. (Price to be determined by customer’s needs.) We currently use a supply of vintage transformers for all of the microphone preamplifier projects but this supply cannot last forever (unfortunately!) Other options include tone controls, output attenuator, VU meter, etc. Please ask as there are many, many variables on offer here.